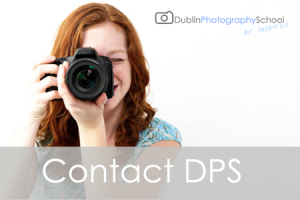 These are short photography courses that take place on a week night in DPS HQ in Dublin City Centre. 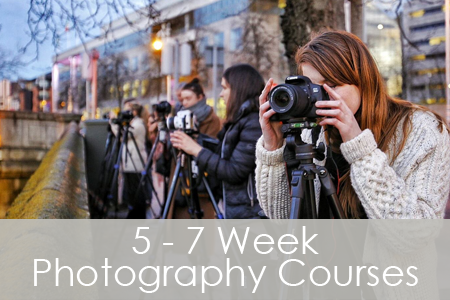 These evening courses are designed to get you up to speed, not just with your camera but in the principals of photography that will cover everything from complete basics to more advanced concepts. 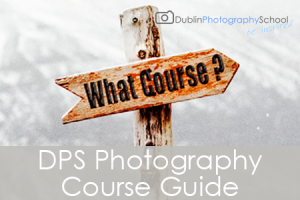 These courses are ideal for beginners and form the back bone of any future learning in photography, by getting basics in place, dispelling myths, busting jargon, and getting you comfortable with your camera. Our aim is combine classroom based camera and photography techniques with at least two classes out on location applying what you learned in theory, as we say here in DPS; “you cant learn to drive, just by reading the rules of the road!” These part time courses are also available in areas like Photoshop and digital imaging, as well as more advanced photography courses that directly follow on from the beginners level. Course Frequency : Depending on the time of year we can have up to 4 start dates a month depending on demand. Equipment Needed: DSLR Camera, Mirrorless Camera, Tripod, Remote Control. At present we have only one Weekend photography course, having successfully ran several times in the last year it is a format that we are hoping to roll out other courses in. These weekend photography courses are designed to intense hands on experience, combining both classroom and practical on location experience, this course is designed to be a quick starter that will have you up and shooting in no time at all. 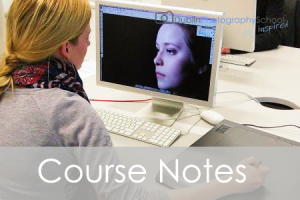 Course Frequency : This photography course runs about 4 times per year at present. Our one day photography courses are aimed at anyone looking to make a quick start or students who cannot commit to an evening or part time course due to work, and family commitments. These courses tend to be similar to the 5-7 week courses but with out the on location shoots, however in line with our ethos, we still provide a practical element later in the day. Course Frequency : Depending on the course anywhere from 3 times per month to twice per year. Photography Workshops slightly differ from Photography courses in that they tend to be a little shorter anywhere from 4.5-6.5 hours depending the workshop. 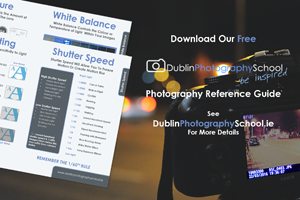 The subject matter tends to be a little more specific to particular types of photography e.g flash photography, black and white photography and goes in depth on that subject breaking down its nuances. Level: Experienced Novice, Self taught photographers looking to formalize their photography knowledge, Photographers returning after a long break, students after completing a 1 day or 7 week course. Workshop Frequency : Depending on the course anywhere fromthree times per month to twice per year. Equipment Needed: Various Depending on the Workshop, listed on page. A photography masterclass is an intensive short class 3-4 hours long that solely focuses on a single topic of photography anything from Composition and Lighting to Semiotics and Visual Metaphor. These classes tend to more lecture based with more of a focus on refining work, showing samples of how, when and where to use techniques, as well as identifying and refining work already produced. 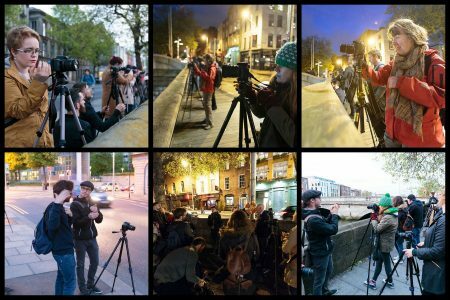 Level: Experienced Novice, Experienced Photographers, Camera Club Participants, students after completing a 1 day or 7 week course. basically all levels above beginner. Class Frequency : There are 4 Master Classes scheduled for 2018. 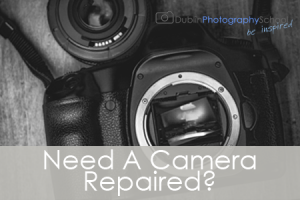 Photography shoots are a great opportunity to get out and about with the camera and meet other photographers. They are about a social and peer group as much about learning new practical photography techniques. Each of our Photography Shoots has a different theme or techniques depending on the location or time of year and can take the form of a photo walk or Meet up that will visit several locations or be just confined to two or three spots depending on the location and techniques. Location Shoot Frequency : Depending on the time of year we can have up to location shoots up to twice a month depending on demand. Equipment Needed: DSLR Camera, Mirrorless Camera, various. 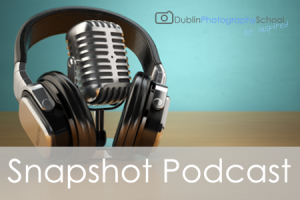 Photography Excursions tend to be Day trips or overnight stays in various locations around ireland, and are all practical based outings, some examples of the excursions and photography day trips we have run in the past are Copper Coast, Waterford. Hook Head, Wexford, Kilfane Glen and Waterfall, Kilkenny, White Coast, Co Antrim to name a few. 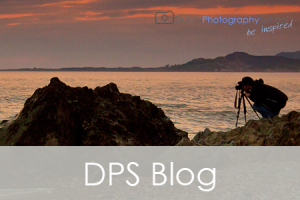 In 2013 DPS teamed up with Travel Department & TDactive to bring you a series of photography holidays to some of the most stunning photographic locations in the world, all at extremely reasonable prices compared to other photography holiday providers in Ireland. These 3-5 Day trips are designed for all levels and are an outdoor classroom that bring you to handpicked locations by the DPS team and show you how to get picture perfect images that you would see in any travel book or brochure. Its a great experience with photographers of all levels catered for, thanks to the fact that there are 2 DPS trainers on every holiday allowing us to focus on all levels from COMPLETE beginners to ADVANCED veterans. 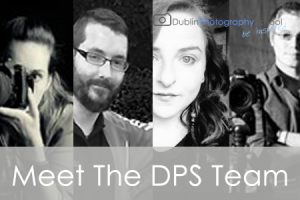 The DPS crew pride themselves on creating a warm, fun and inclusive atmosphere where photographers of all levels can flourish and take advantage of the outdoor classroom. 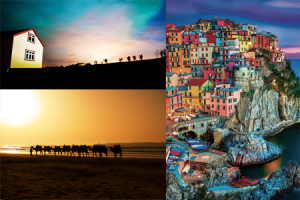 With Destinations including Romania, Italy, Croatia, Iceland, Morocco and India, There is something for everyone. Course Frequency : We run up to 6 photography holidays a year depending on demand and locations available. 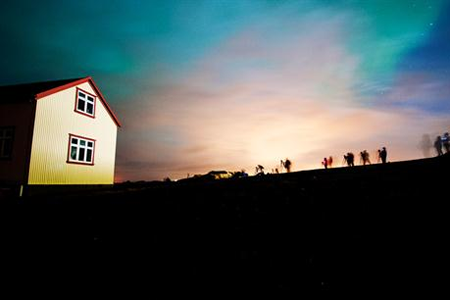 DPS run a series of FREE photography lectures during the year called “Thursday Talks” With a mix of in house and guest speakers on a wide variety of subjects in and around photography. These talks have proven to be very popular over the years and tend to be a full house everytime. 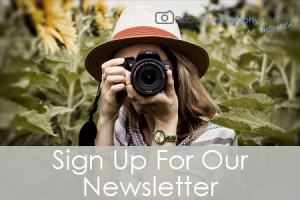 Keep an eye on our photography Blog here or DPS Facebook Group Page Here for upcoming Talks in 2018. 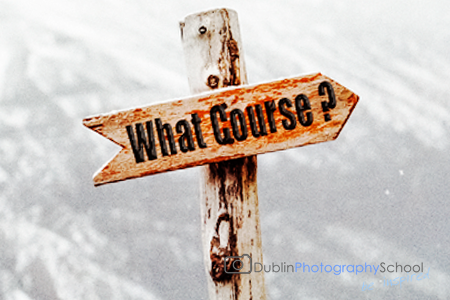 At Present Dublin Photography School do not run any online photography courses. 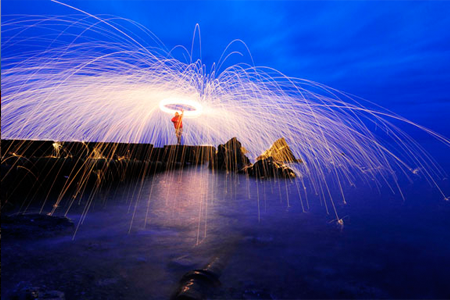 We feel that photography is a hands on practical subject that requires a “look and feel” approach to learning. The art of photography has always been more than just dry technical specs, no matter how import technics are in photography, they are just one important thread in a very rich tapestry of learning photography. With that said DPS has plans for an “Online Campus” that will supplement the classroom based learning process and not replace it. Keep an eye on our photography Blog here for upcoming future developments.